If you are in the market for single-family residences in brand-new neighborhoods, you should consider a home at Woodland Trace in Manatee County. Woodland Trace is being developed by home builder Neal Communities, and it is part of the company’s strategy to build neighborhoods located west of I-75 and close to both Sarasota and Bradenton. Woodland Trace will immediately appeal to house hunters looking for quality construction at reasonable prices. 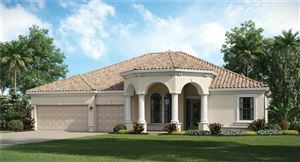 The home builder has a great reputation in the Southwest Florida real estate market, and Woodland Trace is shaping up to become a great neighborhood. Woodland Trace is being developed as a complement to nearby Woodbrook, which started development in 2011. Neal Communities will only build 45 homes in the 28 acres that make up Woodland Trace; the rest of the land will be set aside as nature preserves to keep the neighborhood fresh and beautiful. There are four home models to choose from at Woodland Trace, and they start with the two-bedroom and two-bathroom Eventide II, which is priced under $300K. The Endless Summer III and the Windsong floor plans both feature three bedrooms two bathrooms, but the latter is larger at 2,367 square feet of living space. The Bright Meadow floor plan is the most spacious, and it was listed at less than $350K during the summer of 2015. The homes at Woodland Trace are expected to sell rapidly due to the neighborhood’s great location. Driving to the downtown districts of either Bradenton or Sarasota from Woodland Trace takes less than 20 minutes, and residents can choose between Bradenton Beach and Siesta Key when planning a trip to the coast. The closest shopping center, Lockwood Commons, is only two minutes away, and the upscale University shopping district is just two miles south on Lockwood Ridge Road. See all Woodland Trace Sarasota Florida Homes for Sale.